I had planned to write something for the occasion of the 10th anniversary of 9/11, but did not go through with it. However, I did not want the event to go unremarked upon here. Here are four pieces I've written related to that day and its aftermath. If you are seeking some sort of commentary or meditation on the day, hopefully these provide some degree of what you are looking for. 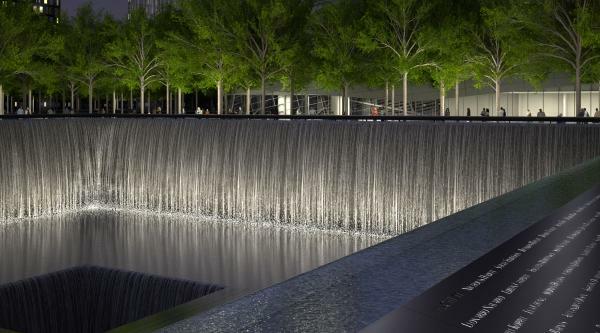 • My review of 9/11, the documentary by the Naudet brothers, focuses on the event itself. • Waiting for the 25th Hour, a review of 25th Hour, deals with the emotional and psychological aftermath of the terrorist attacks. • The Way We Weren't is a response to a Newsweek article about art in the Bush era; it is my take on the cultural and political fallout from 9/11. • Man on Wire was a documentary about Phillip Petit, the man who walked a tightrope between the Twin Towers in the early 70s. Though not directly related to 9/11, the film provides an interesting counterpoint to the sorrow of that day.